Meeting at The Masonic Hall, Morris Lane, Devizes, Wiltshire. The Chapter meets at 6.30pm on the second friday in January, March, May and November. 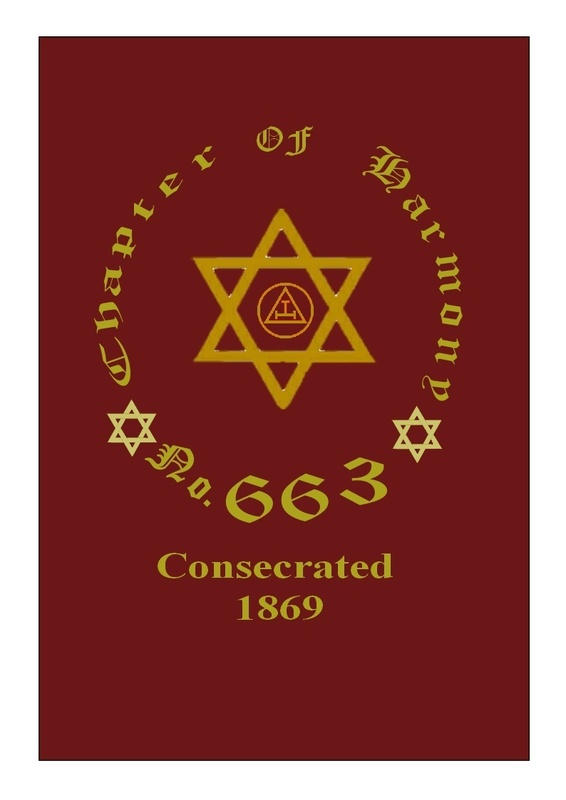 On Friday 9 November a good number of Companions assembled at the Masonic Hall in Devizes for the Installation Meeting of Chapter of Harmony. The meeting saw E. Comp. Adrian Watts installed as MEZ and in prime position to take the Chapter into its 150th Year! 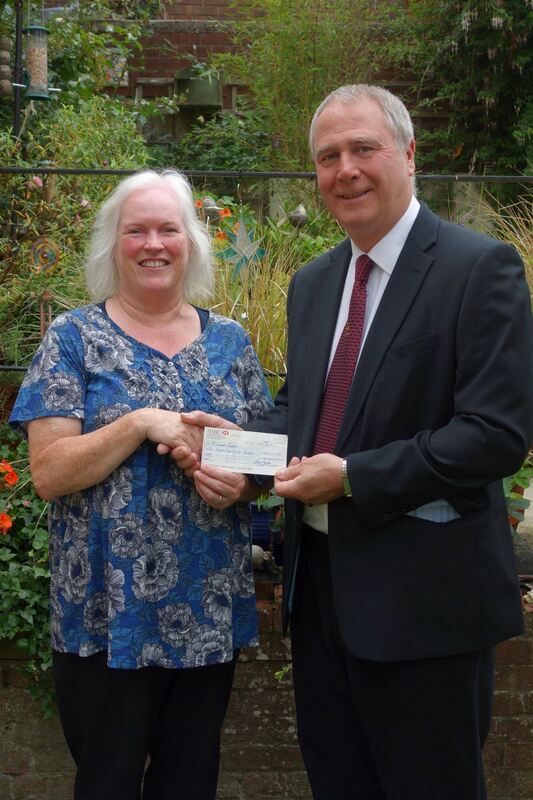 The Chapter actively supports local good causes and earlier made a donation of £250 to Devizes Alzheimer’s Support (see photograph). 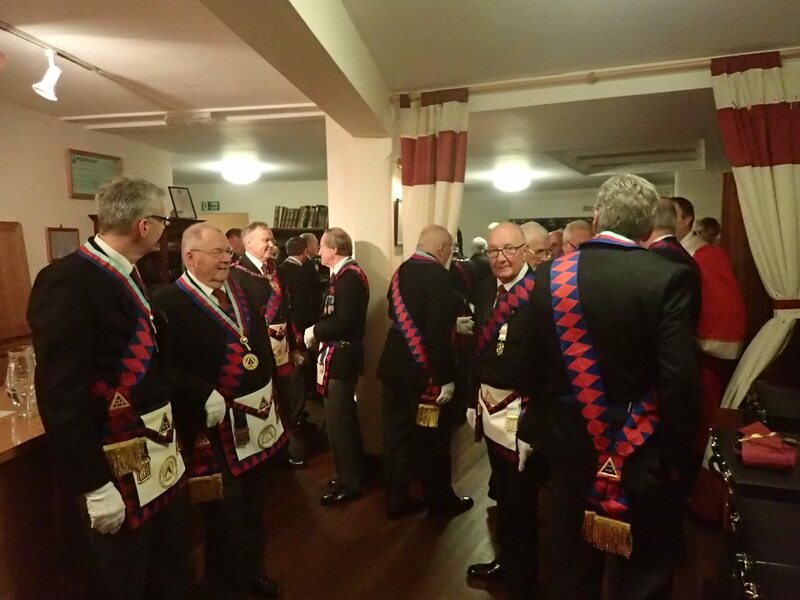 It was a night for multiple celebrations at the recent Installation meeting of Lodge of Harmony No.663. Not only were three new Principals appointed, five Companions of the Chapter were also presented with their Supreme Grand Chapter certificates. On the same evening Excellent Companions Mike Mossman who was appointed to Past Grand Standard Bearer, and EComp Tony Oke promoted to Past Assistant Grand Sojourner sported their new regalia for the very first time since being Appointed and Promoted following the special Supreme Grand Chapter Investiture held recently. The Most Excellent Grand Superintendent John Reid had even more cause than normal to express his considerable pleasure when he counted an astonishing number of Active Provincial Officers in attendance. John said "I am so thrilled at the exceptional level of support given by the Provincial Team, their attendance make a difference to our ceremonies and I know it's appreciated by the Chapters"